It's amazing (and not in a good way) how Scientology has two very different faces. On the one hand, they are treating church members as second class citizens - putting it mildly. On the other hand, they are claiming to be this tolerant religion to pull in more people. I wonder how someone like Catherine Bell feels? Even though she hasn't really commented on it herself, it is not exactly a secret that she is gay and currently has a girlfriend. I'm pretty sure I even saw some images online. Does Scientology really have such a strong hold on her that she doesn't even know what is happening to "regular" church members who are gay? Do they have something on her that keeps her from speaking up or leaving the church? She doesn't strike me as a hypocrite, but never say never. I'd love to hear how you guys feel about this? She just doesn't strike me as a hypocrite, but never say never. Anyway, I just wanted to share this video, because it really moved me. I think there can never be too many videos like this that show the world the truth. LRH was smart enough to overcome early prejudice and scoop up women and minorities as members and staff. 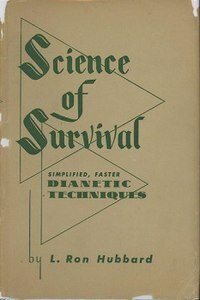 This paid off as Scientology seemed "up-to-date" by having women and minority leaders. (Several critics have quipped that CoS is an equal-opportunity exploiter). However, LRH died before the major shift on acceptance of LGBT people, his writings can't be changed, and so his homophobia got "baked into" Scientology. Welcome to the board, Jojo! Homophobia is something that I believe is alive and well in the church, yet is denied by celebrities. Laura Prepon claimed she never heard or read anything anti-gay in Scientology, which is ridiculous because in Dianetics homosexuals are designated as perverts and 1.1 on the tone scale (as low as you can go). I think that they either lie to themselves and others, or they are somehow totally shielded from this ugly part of the church. There is plenty of evidence that many people have been harassed and attacked for being gay. Bottom line, trying to have an honest conversation about scientology with someone who is very in is almost impossible. Hi Jojo. Welcome to the Bake. I will summarize but you can go and read it for yourself and draw your own conclusion. anything at all to do with supporting Scientology is frustratingly way beyond me. well isolated within the Celebrity Centers of the organization. 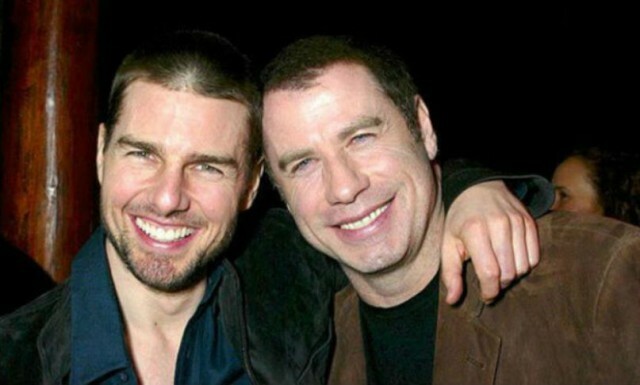 John Travolta is gay, and at the same time he had reached the highest level on the Scientology Bridge, which is OT 8. He knows damn well what Hubbard wrote about homosexuality, but he is not troubled by the Founder's assessment of this "sexual perversion". Apparently, all homosexual Scientologists suffer from some form of disconnect from reality. Travolta may be trapped because his wife Kelly Preston fervently follows CoS, and Travolta fears losing his children in a custody battle. Also, he may fear some discrimination in Hollywood and the movie-going public, against gay people. Remember auditing scoops up embarrassing confessions that he may fear being leaked if he quits. When his youngest reaches 18, and is past a custody fight, and Hollywood relaxes more about gay actors, maybe Travolta will leave CoS.
Yup, it was pretty obvious how she felt. "That explains" (or something to that extent). Wow, there really must be a huge disconnect where celebrity Scientologists are concerned. I can't help feeling bad for them, somehow. They are trapped, and either they don't know it, or they feel that there is no way it. So sad. It never ceases to amaze me how some people feel the need to control who other people may or may not love. Where do they think they get the right? I know it's not just Scientology, by the way, but the video I posted before just really got to me. I hope celebrities like John Travolta, Catherine Bell, and who knows how many others will eventually see how their church is really treating gay people. If they ever do find out (assuming they don't know, or not the full extent now), it must be as if their whole world shatters. Scientologists (and others with really strong beliefs) have a way of not seeing things. And it's not just the homophobia they're not seeing--how about the fact that their leader keeps people in prison-like conditions, physically and mentally abuses them, and his own wife has "disappeared." There's plenty of of heads being buried in the sand. There's a whole routine used by most followers, which I discovered back when we protested a lot. First, the scientologist will tell you it's not true, that the people telling these stories are criminals and liars. Second, they will say that THEY never saw or experienced whatever horror, and therefore it didn't happen. Don Carlo wrote: Travolta may be trapped because his wife Kelly Preston fervently follows CoS, and Travolta fears losing his children in a custody battle. Also, he may fear some discrimination in Hollywood and the movie-going public, against gay people. Remember auditing scoops up embarrassing confessions that he may fear being leaked if he quits. Travolta may be trapped, but that doesn't justify his defense of Narconon, keeping his mouth shut would have been enough. His gay confessions might be uncomfortable, but his recent alleged sexcapades are even more embarrassing. I think ALL CoS's celebrities, including Travolta, are pressured to attend CoS events, support front groups, make occasional speeches, keep their children loyal, and donate $$$. This is the primary reason TMZ's Harvey Levin gets up my nose with how they report on scientology. TMZ seem to always go softly softly on reporting of $cientology. I was so pissed off the last time TMZ ostensibly avoided crucial reporting, I posted about how if scientology had it's way, Harvey would be done away with quietly and without sorrow- including hubbards spew from DMSMH. Scientology Inc trolling and advertizing on Gay dating Apps. "It's off policy and out tech but, hey, it brought in a ton of money so it's a successful action." Scientology can't hold it's location in space. Heh, heh. That's it for gossip. No poker games, no watching auto racing, no riding motorcycles together, no going to each others' movie premieres. This Star article is bogus.